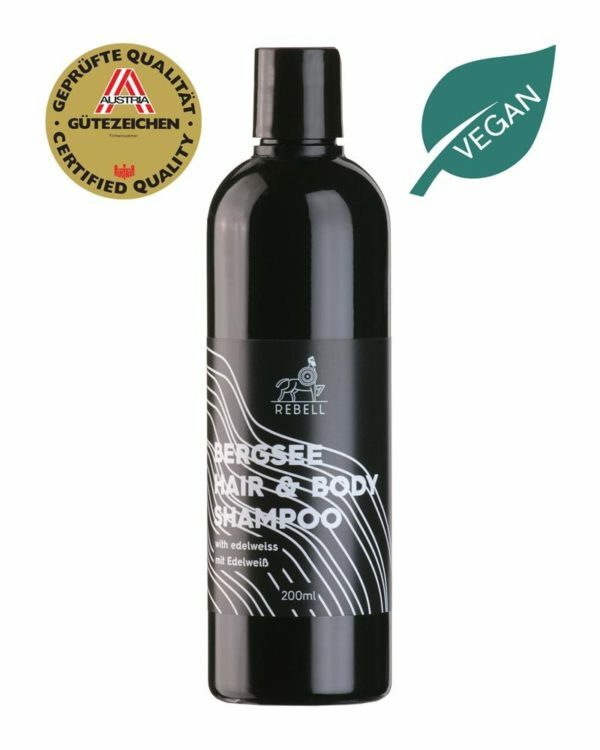 As refreshing as a mountain lake, as precious as edelweiss: the vegan hair & body shampoo of the alps series of REBELL is enriched with the unique extract of edelweiss, which is has a strong anti-oxidant effect. The scent composition impresses with its light spicy tones and enfolds a sparkling freshness of lemon and eucalyptus. In its heart, it enfolds a floral note of roses and jasmine, while the base notes of white musk and vanilla round off the scent. Surprising and dazzling such as a breeze upon a mountain lake. 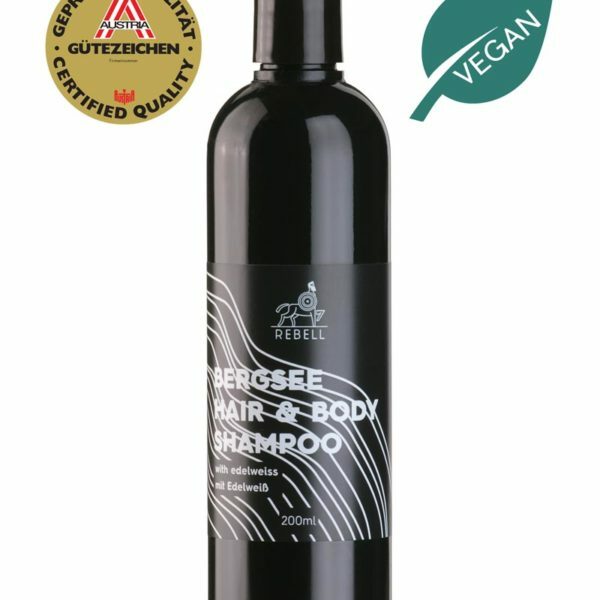 The Hair & Body Shampoo based on a highly-dosed biological aloe vera essence, works calming and develops a nice foam. This foam cleans the body and the hair thoroughly, hydrates and leaves you with a soft feeling. Skin and hair are now optimally prepared for the next stage of care. For the daily use and suitable for all skin types.